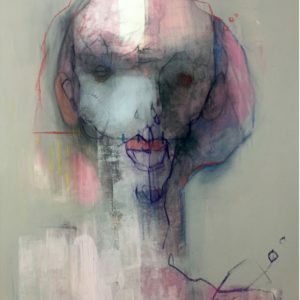 Schalk van der Merwe is a multidiscipline, visual artist. Born and bred in Cape Town, he went on to study Graphic Design at CPUT. After his studies and fronting indie rock bands Heavy Petals and Polaroid, Schalk was headhunted to join advertising hot-shop, The Jupiter Drawing Room as a junior art-director. He left the advertising industry 15 years later as an International award winning Art Director and later Creative Director too pursuit his Art. 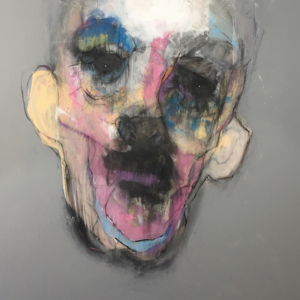 Schalk’s visceral portraits have a directness about them, yet are underpinned with a tangible fragility. 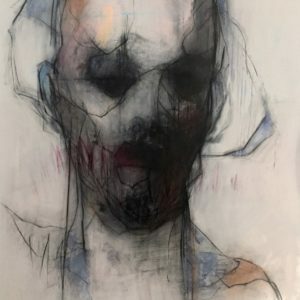 Ambiguous features can morph from immense beauty into utter despair, with hints of the eyes breaking the surface beneath layers of paint, charcoal, turpentine, expressive brush strokes and often the physical DNA form the artists’s fingertips. His work explores the concept of taking the mind out of the creative process to allow for a more honest expression. His art captures a vast range of emotions and often provokes a strong reaction from the viewer. “My work is not reliant on a cognitive process. I believe over thinking can destroy originality. My portraits aren’t about realism, perfection, gender or race. They explore and attempt to capture those qualities and emotions often hidden from view.” says Van Der Merwe of his work. 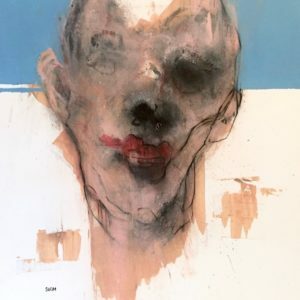 Schalk’s work is arresting, intriguing and oddly attractive. Each portrait has a delicate, almost melancholic expression with a coarse and visceral application of paint. Each face offers some deeply personal recognition of the subject even though the features sometimes are blurred to the point of anonymity. 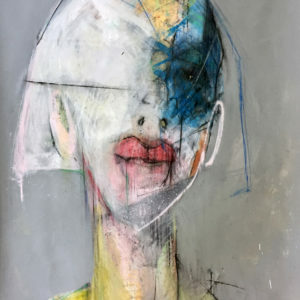 In the short time that Schalk has been pursuing an art career, he has been invited to several group exhibitions and has made a significant impact on collectors worldwide establishing a substantial following. 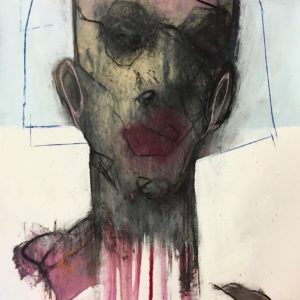 To date, he has sold large format works as far afield as Ireland, Kenya, Austria, Germany, Chicago, Denmark, New York, Miami, Washington DC, Johannesburg and Cape Town. 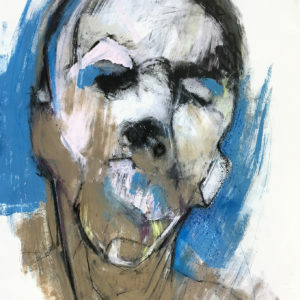 His work can be found in select galleries in South Africa and abroad.